Rich and creamy vanilla dessert that goes well with any fruit. We like it topped with one of our fortune cookies to add texture. It can be un molded onto a plate or eaten right from the dish. I think of this dish as a piece of art and you can also present it in fine glass ware. So go ahead and be creative with our fun and easy recipe. 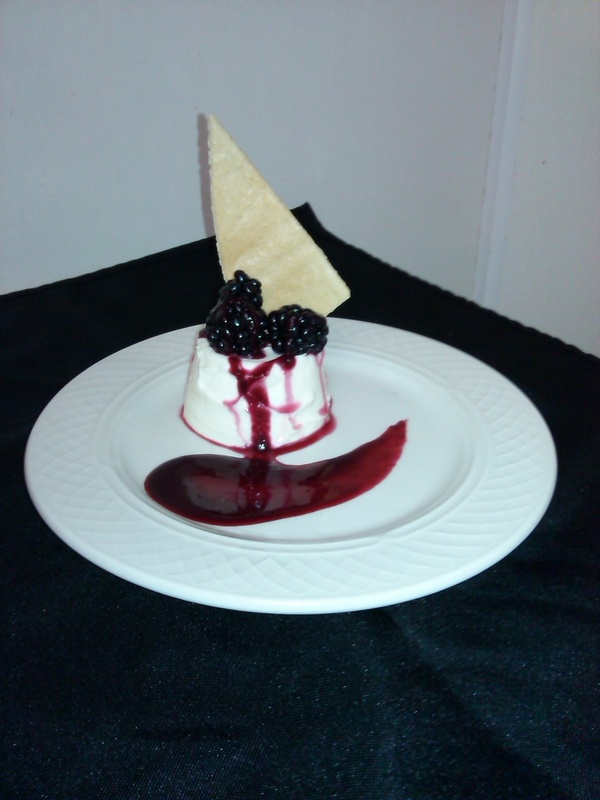 Above picture is Fresh blackberries and blackberry coulis. 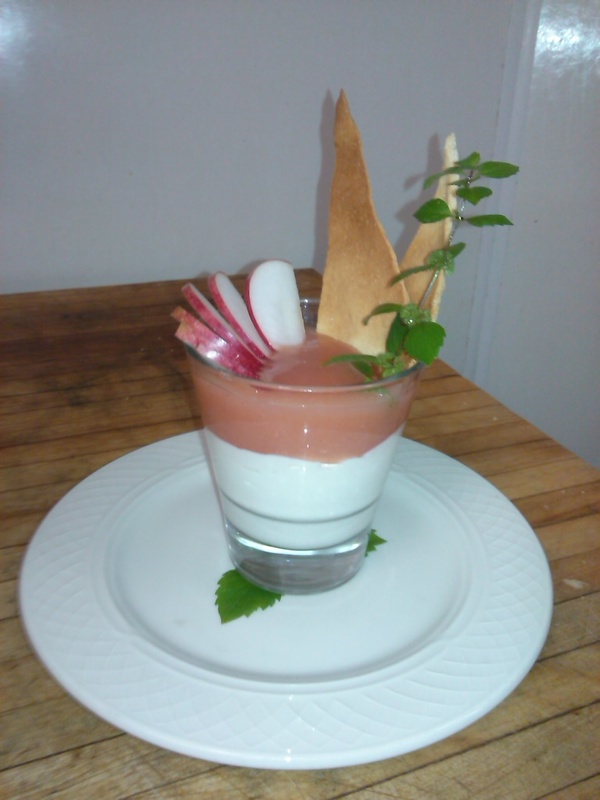 Above picture is our Panna Cotta using apples in a champagne Apple sauce. Sprinkle gelatin over water and lemon juice and allow it to ” bloom”. The gelatin will soak up all the liquid. Then heat these ingredients together to a scald point,(do not boil). Then add bloomed gelatin, and mix until gelatin is dissolved and the cream is smooth. Pour the Panna Cotta into a glass or plastic disposable cup. Refrigerate at least a half hour before serving. Let me know how you enjoyed this.